"Duude — to be clear: Being five centuries regressed in your reasoning doesn’t mean we all can’t still like your music" tweeted astrophysicist and personal hero Neil deGrasse Tyson to rapper and high school dropout Bobby Ray Simmons, Jr. (better known by his stage name, B.o.B). The rapper, who has amassed quite the following of believers (and thankfully, even more non-believers) on social media, launched a series of tweets claiming his theory on the conspiracy of a flat Earth. Everybody is talking about the feud but nobody is talking about the importance of what Tyson is defending. The (round) earth will keep spinning if he were to just leave it alone, so why is it so imperative that a famous member from our scientific community engage with a famous uneducated recording artist? Tyson has assumed a social responsibility in fact-checking for just about anything from Spider-Man to Star Wars. He has recognized his fame and uses it for the benefit of mankind and in defense of the knowledge we have ascertained. He also recognizes people with fame have the ability to distort that knowledge and regress the steps we have taken forward as a culture. 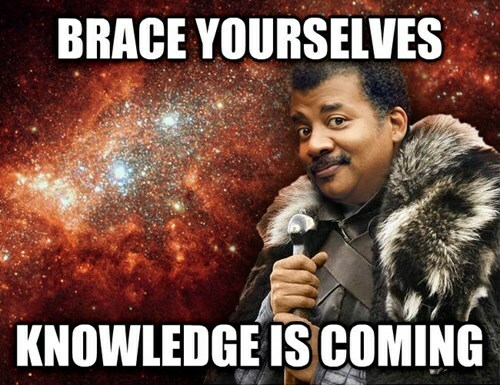 UPDATE: The debate has actually fostered a real-life rap battle of "diss tracks" between the flat Earth theorist, B.o.B, and the astrophysicist's nephew, Stephen Tyson. If you have brain cells to spare, check it out. Speaking of talking some sense into people, let's talk sense on safety standards. Standards and codes have grown so large that many small manufacturers don't follow them. Most are just unaware that the standards exist or apply to them. Likewise, for industrial electrical controls, everyone has to follow electrical standards intended for commercial facility wiring or follow standards written to protect workers based on older components.